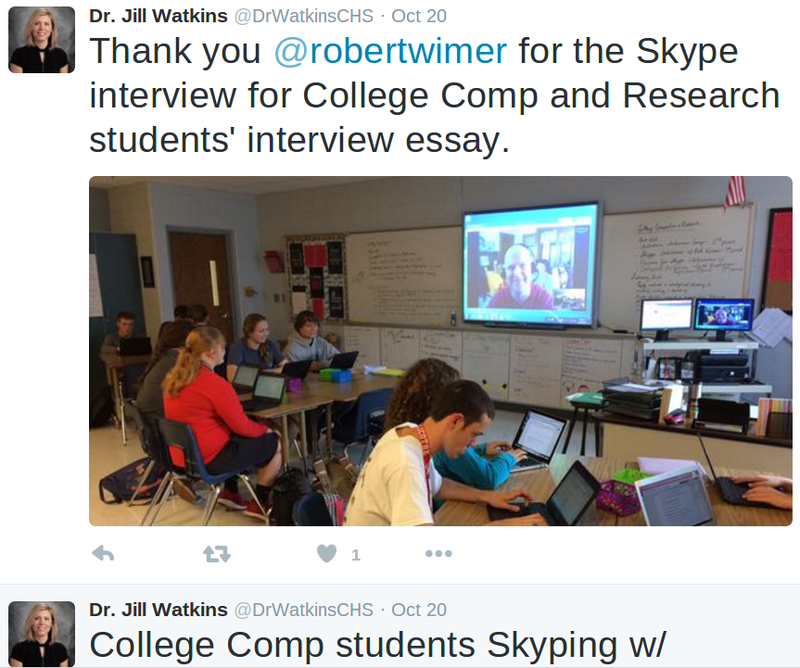 About a month ago, I got the pleasure of being interviewed via Skype with a group of college composition students within the area. IT WAS A BLAST, to say the least. Today, I got an email with these attachments and I wanted to get them posted so they’ll be saved. This made my night. What do singing, cute animals, and a highway all have in common? The answer is usually “absolutely nothing.” However, a man from Trenton, Missouri, has undertaken a project that ties all three together in an interesting fashion. 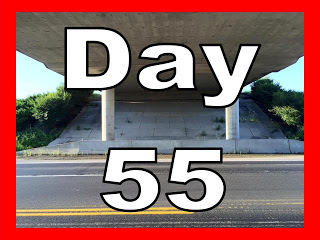 Bob Wimer is a man on a mission; his resolution to raise money for an animal shelter by singing under an overpass for 365 days straight is a noble cause that has impacted both the community and himself in more ways than one. Mr. Wimer’s project was inspired by a cross between his love for the animals in the Green Hills Animal Shelter and his love for music. Blessed with a crystal clear operatic voice, Wimer had always enjoyed singing and working as a kennel supervisor at the shelter fueled his caring nature for animals. Naturally, finding a link between the two would be the best of both worlds, so Wimer asked himself, “How can I use the talents God has given me to help the animals out?” The answer came to him in August in the form of an accidental cough that produced an amazing sound under a highway overpass while he was walking to work. 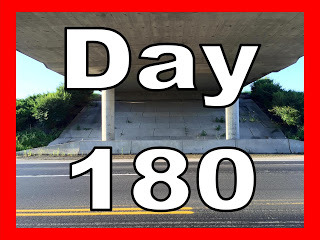 This was the catalyst for his notion to sing underneath that overpass for an entire year with the idea that the odd occurrence would turn some heads; he then planned that any donations to the keep the project going would be given to help the animals at the shelter. The project is garnering an increasing amount of support from the community. 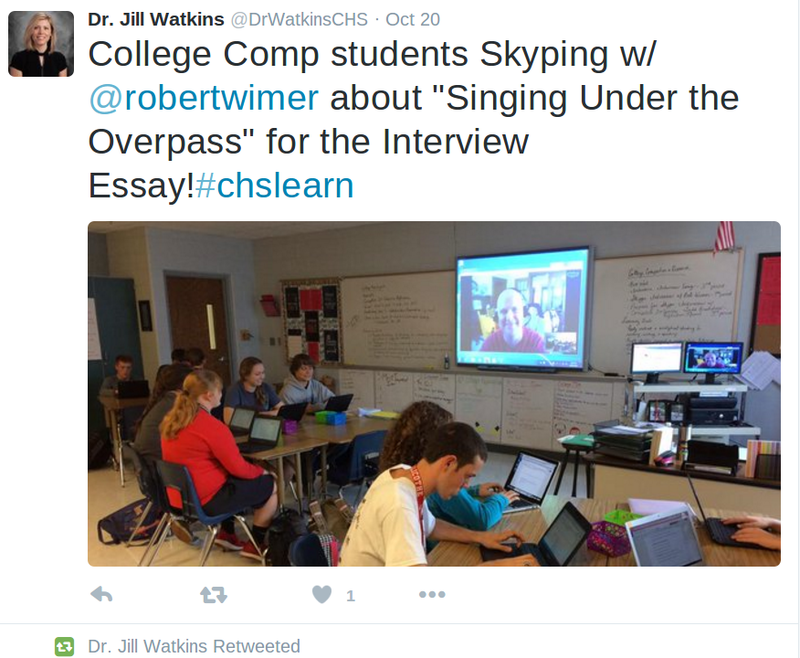 Each day, Wimer posts one video of himself singing under the overpass onto his website and other social media applications. He has appeared on several morning news shows and radio stations to raise awareness of his cause as well. The videos are well received, and since beginning the project in August, the Green Hills Animal Shelter has experienced an upsurge in adoptions and other donations. About the support received so far, Wimer says, “The media coverage just kind of took me aback… and I’m very happy that they have supported this.” Wimer also comments about the idea of having live audiences for his performances: “I encourage that. If people want to stop by and listen, that’s just fine with me!” He is grateful about the backing he has received so far and knows that a project of this length and magnitude requires support in order to continue. On the subject of perseverance, Wimer’s ongoing support from his family and long-standing love for music and are what encourage him to continue this endeavor. Music is what makes Wimer feel alive and purposeful. He has had over 30 years of singing lessons and has sung professionally on numerous occasions. Wimer elaborates, “If I don’t sing, and if I’m not called to music, I feel empty.” This love for music is supported by his wife and three children, who have stood by him every step of the way. Many might call a man crazy for having an idea for a project like this one, but when Wimer told his wife that he wanted to stand next to the highway and sing every day for a year, her first comment was a jokingly phrased, “Well, are you going to LIVE underneath the overpass?” This acceptance and support has allowed Wimer to catapult into the next phase of his project. The overall goal for this task is to raise $500,000 for the Green Hills Animal Shelter, and the next step for achieving that goal is expanding publicity. To achieve this, Wimer believes the time has come to broaden the project’s range of influence to outside of the Missouri border. He says, “So now it’s time to spread out.” Though only $1,200 has been raised so far, Wimer says he is not nervous that the current goal will be met. He explains, “People are generally good, and they want to help out good things and be a part of that in some way, shape, or form.” This is just one of the many ideas Wimer has learned about the world and himself since beginning this project. The project not only benefits the animal shelter, but it continues to teach Wimer new lessons about himself and about life in general. One of the brightest outcomes of this project is that it has revived Wimer’s passion and application of the music he loves so much. Wimer reflects, “It’s rekindled something in me that I thought I had lost back in my youth.” He goes on to tell about how society typically dictates that, at some point, every person must grow up and shed the far-flung dreams of his or her past in favor of living a structured, mundane, adult life. Wimer, though, has learned through this project that he does not have to choose between being a responsible, financially-stable adult and a creative thinker. He can be both. Wimer expands, “I put up creativity for a long time because I bought into the lie that the grownups told me that I shouldn’t be doing it because I couldn’t make money off of it.” Wimer has found a way to carry out his passions and normal day-to-day work in tandem, and he still manages to provide for charity and for his family. Bob Wimer’s idea to raise money for the Green Hills Animal Shelter by singing a new song under an overpass every day for a year is both creative and bold. Mr. Wimer is showing the world one song at a time that people do not have to give up on their dreams to lead a successful life. His project will hopefully improve the lives of the animals in the shelter while also illustrating how life can remain passionate, creative, and full throughout its entirety. “Robert Wimer.” Online interview. 20 Oct. 2015. “You have to be burning with an idea, or a problem, or a wrong that you want to right. If you’re not passionate enough from the start, you’ll never stick it out.” This quote by Steve Jobs accurately describes the kind of mindset people should have if they want to successfully fulfill their desires. Sometimes there can be difficulty in the manifestation of ideals; however, once the passion is found, the execution will come naturally. One man who has clearly begun to show this burning desire to cause change is Bob Wimer. Bob Wimer has become an animal activist by combining his two passions, developing a drive to accomplish his goals, and learning to balance his work and family while still encouraging others to follow their desires. Wimer instantly became inspired to help animals once he began his work at Green Hills Animal Shelter in Trenton, Missouri. Wimer enjoys his job, even though he knows working at the kennel is not glamorous at times. When asked about his job, Wimer laughs and says, “I work as a kennel supervisor which is pretty much a glorified pooper scooper.” Despite his jokes, working at the animal shelter has opened Wimer’s eyes. He comments, “I have always loved animals but it didn’t kick in until I started seeing the animals as they came in.” Wimer mentions this because he sees abandoned and abused animals every day. He uses the animal neglect as his motivation to make changes. His first idea to do this became apparent to him on his way to work one day. Wimer walked under an overpass as he always does on his way to work, coughed, and noticed the echo. He became inspired by the amazing acoustics and decided to start a project. He had the idea to start singing under the overpass every day for one year to raise money for the Green Hills Animal Shelter. Wimer elaborates on this by saying, “It started off so I can keep my sanity.” His project to make positive changes to the animal shelter has taken off since. Wimer’s passions have always been animals and music, so the decision to combine these two for his campaign was an obvious decision. Wimer has always loved to sing and to share his talent with others. He began singing when he was only four years old, but he did not start taking his skill seriously until high school. 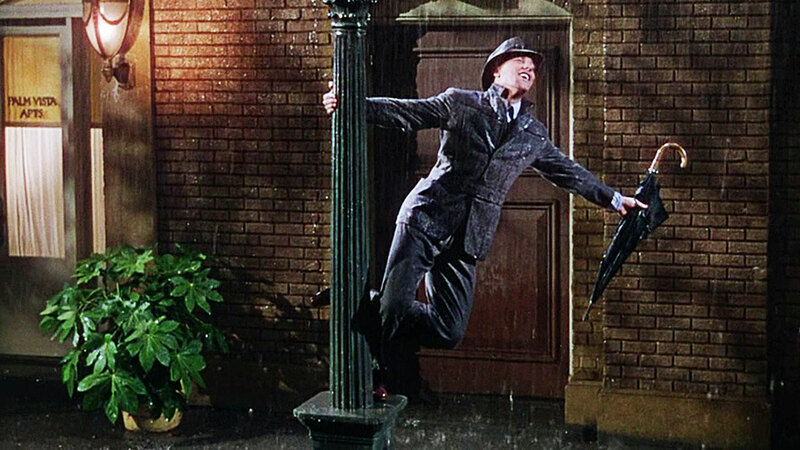 His involvement in high school musicals and choirs encouraged him to pursue a bachelor’s degree in music once he went to college. He says, “God didn’t give me my voice to keep to myself.” Despite his clear aptitude for singing, Wimer has always been urged to stop participating in his passions: animals and music. However, he paid no mind to the criticism. He explains, “You get a lot of people telling you that that’s a hobby and you should put it away.” Wimer does not plan to stop his project in which he “married the music to the campaign.” Through this journey of activism, he found a force inside him that he had forgotten was there. He says, “It has rekindled something in me I had thought I had lost back in my youth.” Wimer has shown the strength he has discovered by combining his passion with his work. Although Wimer’s project is enjoyable for him, he has developed an intense drive that pushes him to accomplish his goals. Wimer says, “I never thought that I would be this dedicated or have a driving force towards something like this.” Wimer has big dreams for his project that he plans to accomplish with his newly discovered inner strength. His goal is to reach $500,000 for the shelter and spread the word about the animals living in shelters. When asked about his current challenge regarding his project, he replies, “My main goal is to get this thing national!” Wimer has big plans, and he will use his drive to accomplish these goals. Wimer knows that focusing much of his time to his activism can affect his loved ones, but he has learned to balance all his priorities. His family tends to tease him; however, they also brag about him often. Wimer loves his family, but he also loves his work, and he realizes the importance of equilibrium. He says, “I have a life that I have to maintain other than work.” Wimer has learned to balance both at the same time. He describes this by saying, “You do it because you have to.” Wimer has proven that individuals can make a difference and still have time for family outside of work. Wimer hopes that his goals will be met and encourages anyone else inspired by his work to accomplish their desires as well. He knows that the world needs people to stand up and be involved in something great. Wimer strongly believes that improvement can be made. He says, “People are generally good and want to take part in this type of thing.” Therefore, Wimer urges everyone to follow their passions and dreams. He advises, “If you have got a creative heart on you let it fly because this world needs creative people.” Wimer sees a bright future and plans to do his part to make a difference. Bob Wimer is igniting humanitarian change by joining together his two passions, developing a force inside himself to manifest his desires, and learning to balance his work and family while still urging others to go after their own goals. Wimer has shown how to make a difference, take a stand, and change the world around him. He has done this all because he is passionate about his work He found a clear and burning problem and combined that issue with his unrelenting drive to create a long-lasting solution. Society could take a lesson from such an inspirational man. “Bob Wimer.” Personal Interview. 20 Oct. 2015.